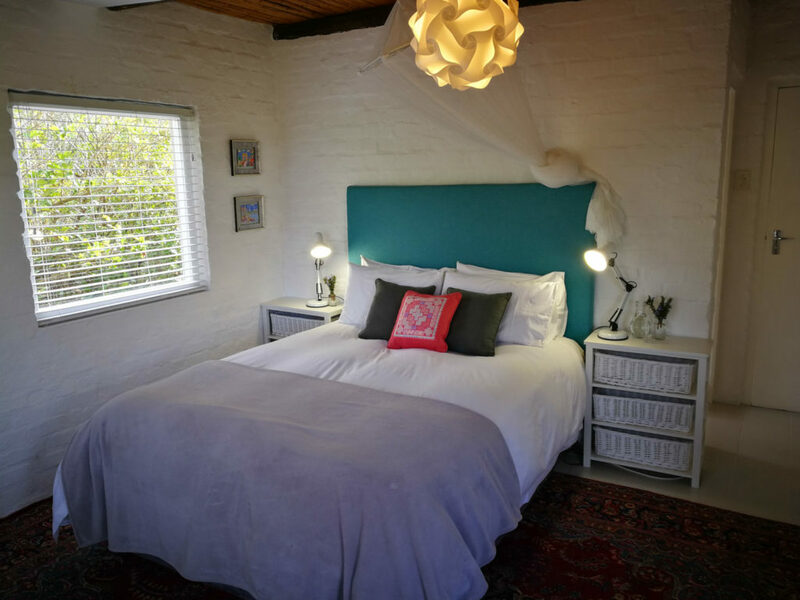 Lazydayz cottage is a delightful 3 bedroomed Greyton-style cottage, set in the peaceful and quiet Park Street. It borders the Nature reserve with beautiful mountain views. If peace and tranquillity is what you are looking for, then this is the home for you. 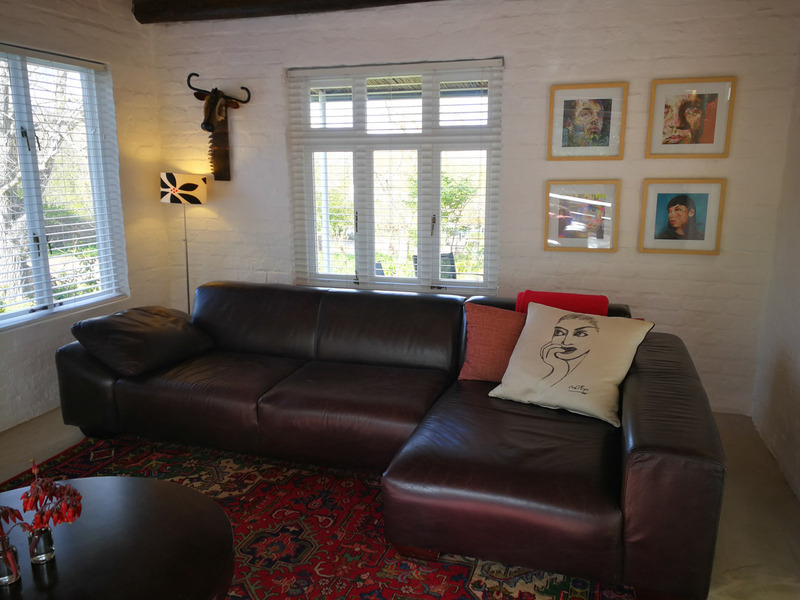 This loft cottage is comfortably furnished with trendy and uncluttered décor. The downstairs bedroom has a queen size bed with en-suite bathroom which has a shower, bath, basin and toilet. There are two bedrooms, a bathroom and a small pyjama or reading nook upstairs. The first bedroom upstairs has two single beds and the second one has a king size bed. Both bedrooms are spacious and have gorgeous mountain views. These bedrooms share the bathroom with a view that has a shower, basin and toilet. The bedrooms all have fresh percale linen, duvets and blankets. All beds have electric blankets for those chilly nights and fans for the summer. The beds also have extra storage in the base sets. The comfortably decorated downstairs lounge is spacious with a fireplace. It opens out onto a patio which has an 8/10 seater table and outdoor braai area. 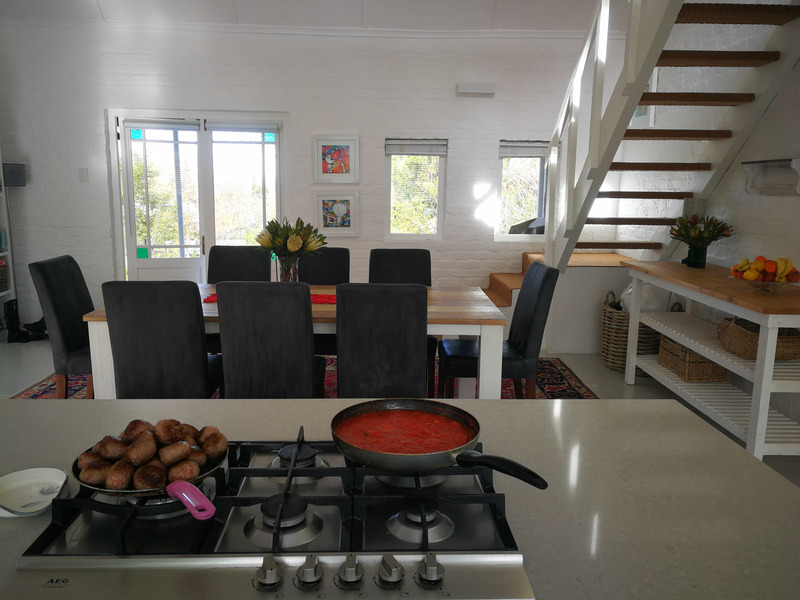 The lounge, dining room, kitchen and laundry are all open plan so that everybody can spend time together. The dining room has ample space and seats 8 people comfortably. The kitchen and laundry are newly renovated and make cooking and spending time together a pleasure. The kitchen is fully equipped and so is the laundry. Lazydays is ideal for 6 guests. 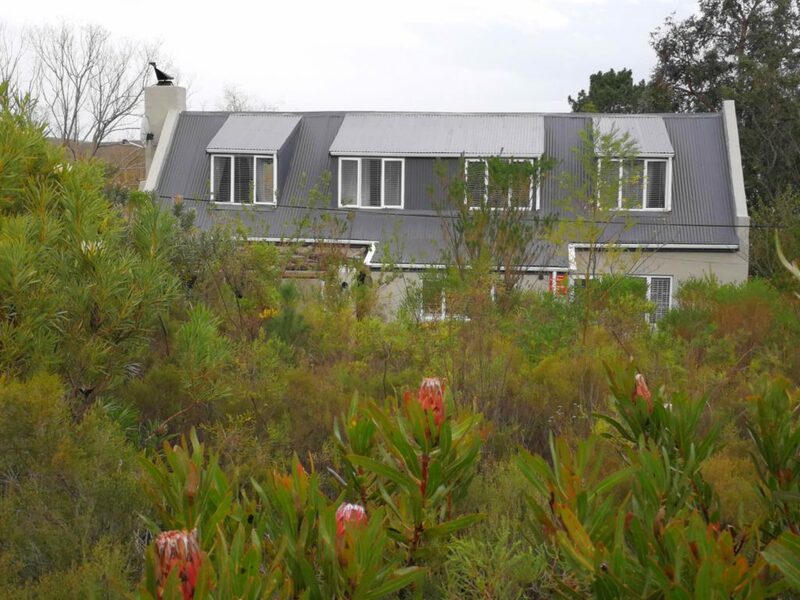 The cottage overlooks a beautiful garden and a back gate leads you into the Nature Reserve. There is safe parking on the premises for at least 3 cars. The house has beams as well as an alarm system that is monitored by a very efficient armed response company, LRV. Kitchen- fridge/freezer, 5 plate gas hob, oven, microwave, 4 slice toaster, kettle, Nespresso Coffee Machine (bring own pods) electric frying pan, wok etc. – balance payable 3 days prior to arrival.